A customer comes to you with a reproduction Civil War era quilt (made from modern fabrics using modern sewing techniques) that she has just completed. The quilt is an Ohio Star quilt pattern similar to the one shown below. 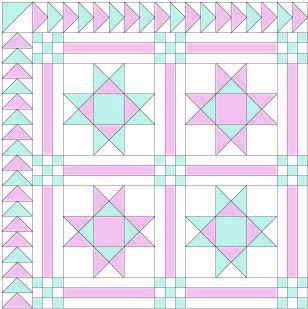 Blocks are 9 inches, the sashing is 3 inches (1 inch strips to make the 9 Patch and sashing), and the border is 1½ x 3 inch Flying Geese. Your customer comments to you that she would like to have this quilted in “historically correct” quilting designs. This is a good customer and the price of the quilting is not an issue. What “historically correct” designs would you quilt on this quilt? Do you feel you need to include historical documentation to your customer for WHY you would stitch this particular design? 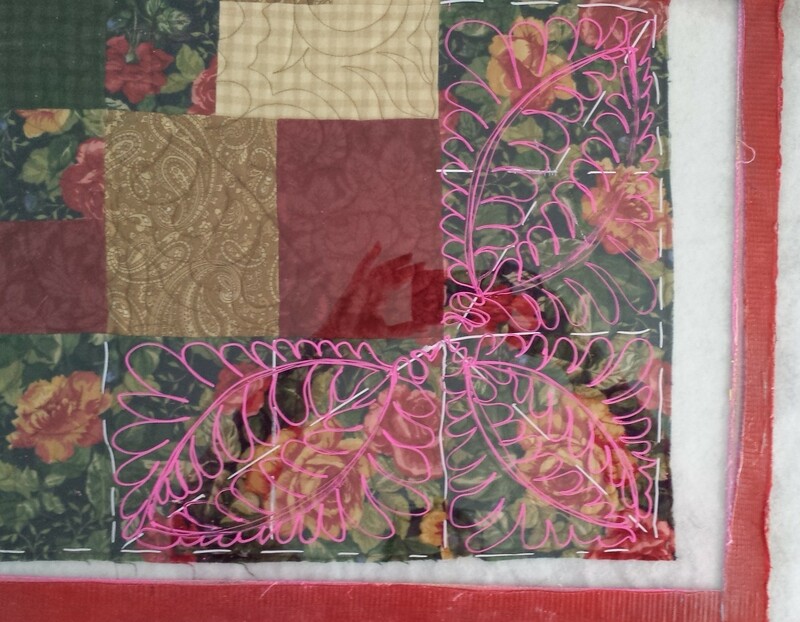 If your customer did not want historically correct quilting, what would you stitch instead? Note: If you are using a pattern/technique from a designer, include their website or email and I will make a link to it. Please post your thoughts about “historically correct” quilting on quilts from historical eras, such as the Civil War era, the 30’s Depression era, etc. I think that this is something we need to think about.